This entry was posted in Uncategorized and tagged Infrastructure, Los Angeles, Projects, Sustainability, Trees & Plants. Bookmark the permalink. Love the idea of more trees! What are those trees? Do they provide shade in the winter time? Hi, Sandy. 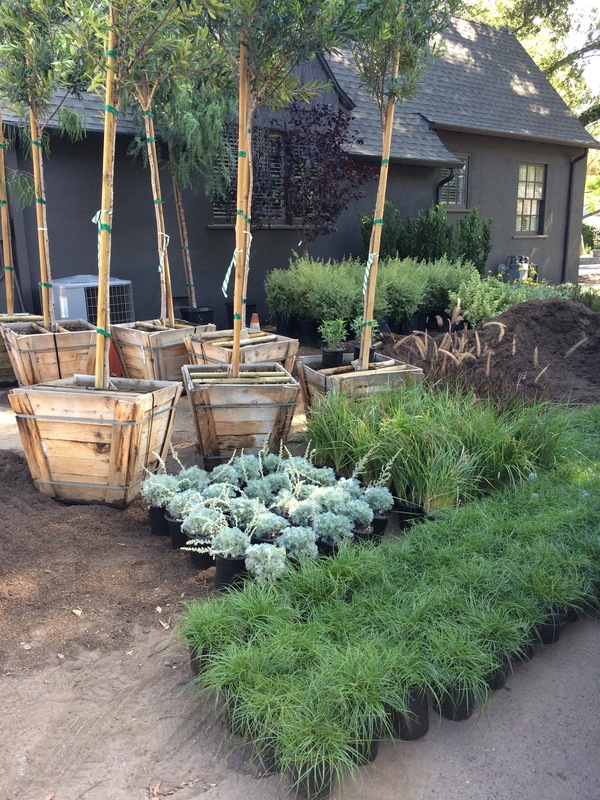 We planted several different types of trees on this property, including Geijera parviflora (or Australian Willow), Tristaniopsis laurina (Sweet Gum), Schinus molle (Brazilian Pepper), Laurus nobilis (Sweet Bay) and a couple of Flowering Plums. They are mostly evergreen and do provide some shade in the winter (except for the plum), but they are mostly not very dense canopies. Choosing a tree can be a little bit complicated and the decision depends on many different variables.